This is one of our family favourites but as we all know the key to a happy family is compromise. So to please all I usually make 1/2 traditional potato and the other half low carb mashed cauliflower for the carb conscience. You could also try mixed veggies or chopped spinach to add variety. Fry meat till it is no longer pink. Mix in salsa and corn and pour mixture into a casserole dish. Steam cauliflower till soft then mash adding milk and butter till smooth. (same consistency as mashed potatoes). 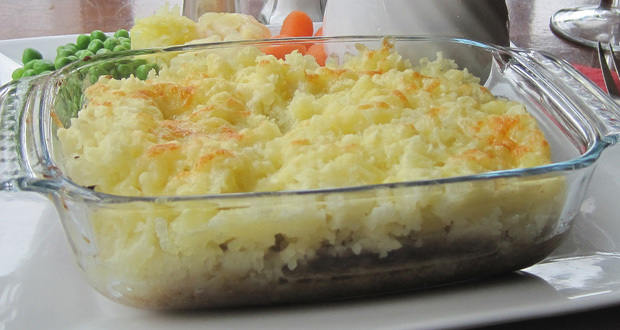 Top meat mixture with mashed cauliflower and shredded cheese. Bake in preheated oven for 30 minutes or until bubbly and hot.